Meek responded to reports of the arrest with an Instagram post that put a spin on an old Jay Z lyric. Meek Mill was reportedly charged with misdemeanor assault Wednesday. According to TMZ, the Philadelphia rapper was at St. Louis Lambert International Airport when an employee approached him to take a photo. Sources said shortly after the interaction, a fight broke out between Meek and a couple of airport staff members. 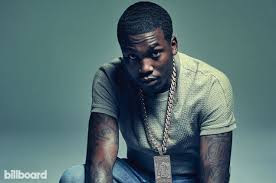 Police were called to the scene, where Meek and the two employees were reportedly given court summons in lieu of arrests. points out Meek is currently on probation for a weapons and drug conviction. Complex has reached out to Roc Nation and Atlantic. Stay tuned as more information becomes available.